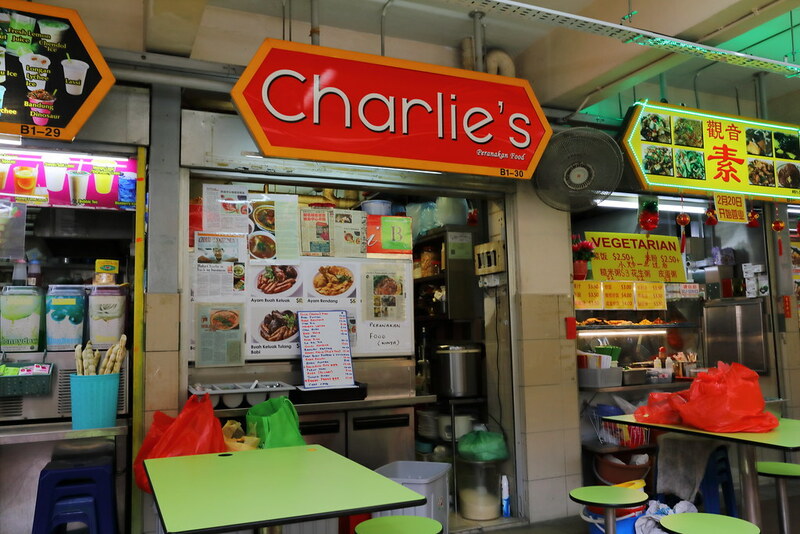 After seeing several postings from foodie gurus in the Singapore scene on Charlie's Peranakan Food at Golden Mile Food Centre, I can sense an excitement in the return of Charlie, a Baba Chef who has retired about 8 years ago. I have never tried his food but the raving reviews from these gurus, I know I need to taste his cooking before he decided to call it a day again. 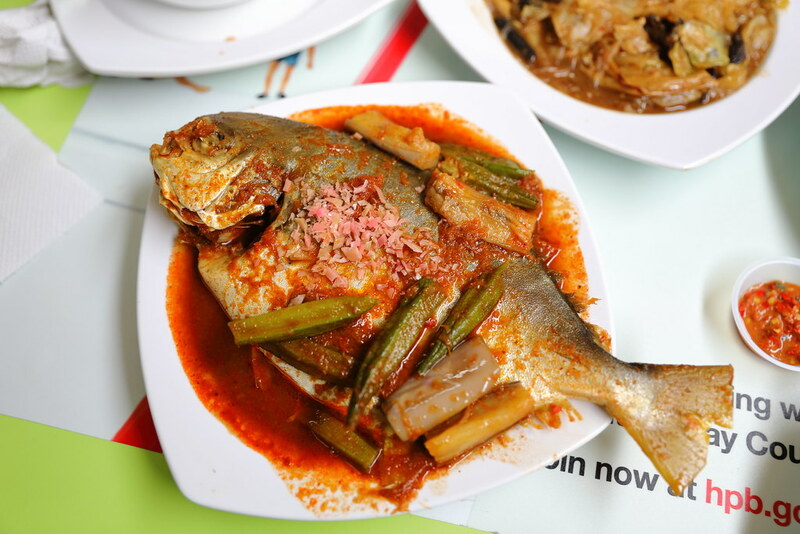 I could not resist ordering the Sambal Fish ($20) which looks so good in the news article that has been pasted at the stall. I didn't regret doing so. Charlie definitely has got the cooking timing spot on, the fish meat was really moist. It is like cutting into a good steak at a steakhouse. The other highlight is the sambal gravy. It is the assam type which whets up the appetite with its sourness. It even comes with lady fingers and brinjal. 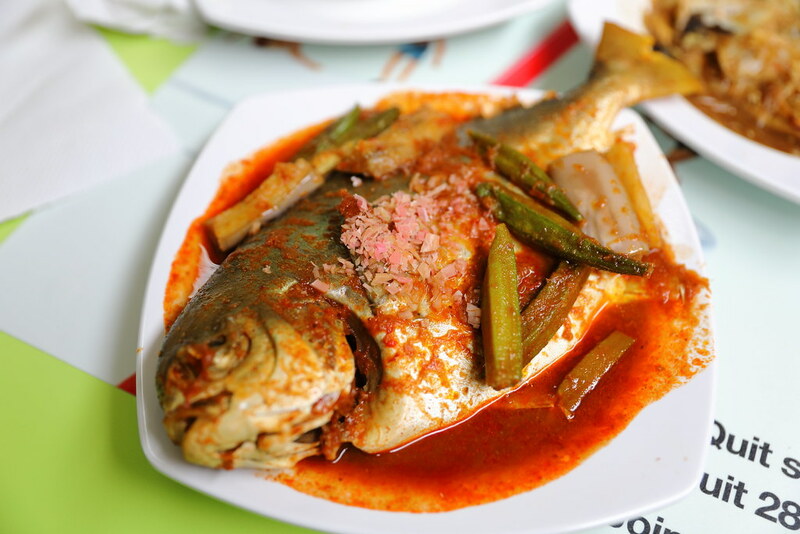 Ginger flower is sprinkled on top of the steamed fish for that extra kick before serve. The Chap Chye ($2/$3) is as impressive too. Soft, crunch, flavourful. This met all my expectation of a good chye chap. 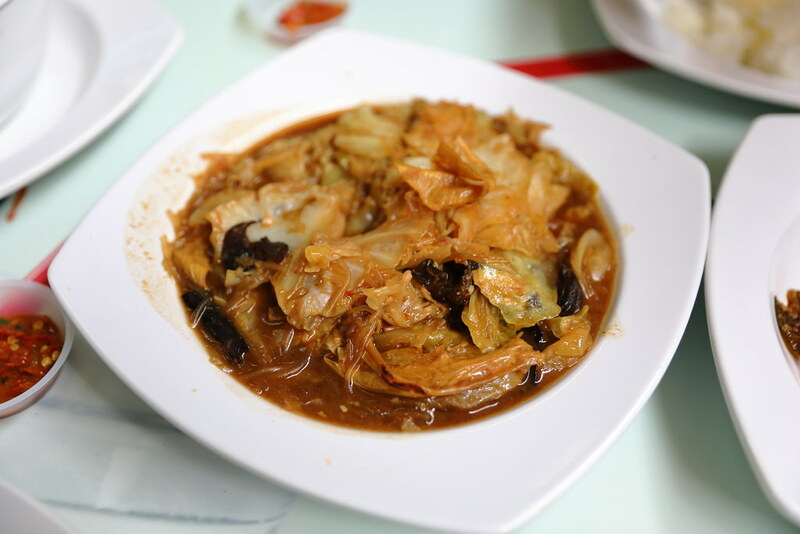 This is probably one of the best stewed mixed vegetable dish I have eaten for a while. The other item on the menu that wows me is their Beef Rendang ($10). Using the shin cut, it has the right ratio of collagen to lean that makes it so fork tender. 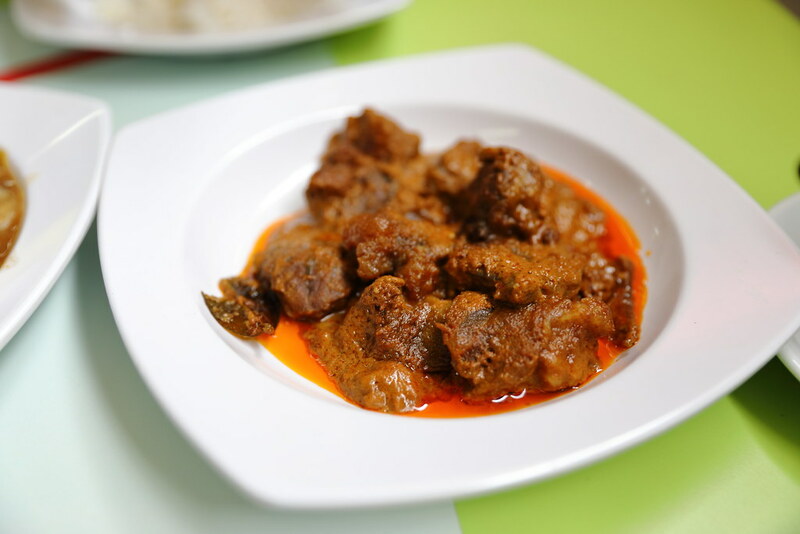 Not forgetting the aromatic rempah that has "spices up" the whole dimension of the dish. This is a must order. It is quite amazing to know the amount of dishes that is prepared in the small humble stall at the basement of Golden Mile Food Centre. The stall may looks unassuming but you can guarantee quality and reasonable priced Peranakan food here.